Looking for homes, townhomes, condos and other types of real estate property for sale in Milton, Ontario? You have come to the right place! Here you will find photos and detailed descriptions of our currently active Milton homes, townhouses and condominiums available for sale. Additionally, on the right side of the page I have provided some introductory information about Milton intended to help familiarize you with the area. If you are interested in a particular Milton MLS listing, be sure to contact me. As a professional REALTOR® with 23+ years experience I am very familiar with the Milton area and I will work tirelessly on your behalf to find you a perfect home in Milton that's just right for you! As a long time resident of Burlington, Lori VanDinther - Burlington RE/MAX® Real Estate Agent, will work hard to help you find and buy a house, townhouse or condo in Milton area. Lori has been successfully selling real estate property in Burlington and Milton areas for 23+ years! Milton is a quaint community not too far from Burlington, and a midpoint between Hamilton and St. Catharines; it offers many different housing options for your family. If you are thinking of buying a home in Milton area, selling your existing home, downsizing or perhaps relocating to another city – put the experience of a professional REALTOR® to work for you. Burlington Real Estate Agent, Lori VanDinther wants to help you Make the Right Moves! Milton is a town in Southern Ontario, Canada, and part of the Halton Region in the Greater Toronto Area. 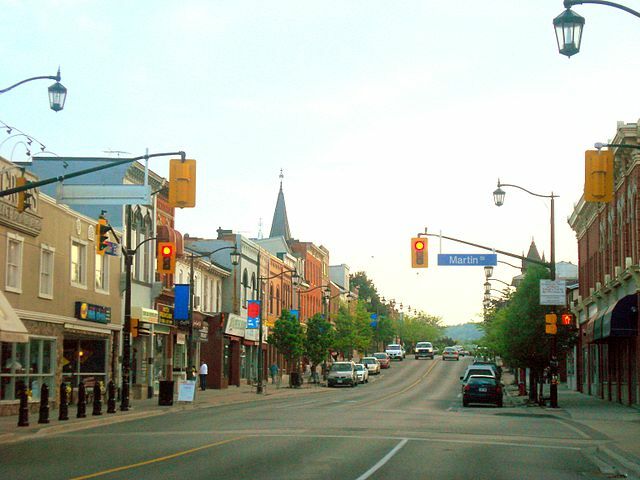 Between 2001 and 2006 Milton was the fastest growing municipality in the Greater Golden Horseshoe, with a 71.4% increase in population. In early 2014, Milton's population is estimated to be 102,000 with an estimated growth to 228,000 by 2031. Milton is located 40 km (25 mi) west of Downtown Toronto on Highway 401, and is the western terminus for the Milton line commuter train and bus corridor operated by GO Transit. 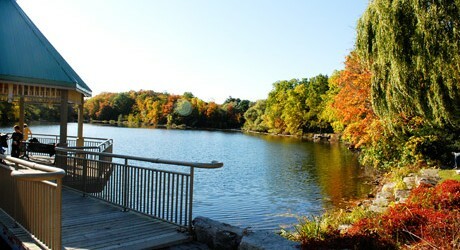 Milton is on the edge of the Niagara Escarpment, a UNESCO world biosphere reserve and the Bruce Trail. Town of Milton is very safe, clean and quiet to raise a family, live and play. It features many new residential communities, neighbourhoods and areas with plenty of housing options: from condos, to townhouses and houses. A lot of the town infrastructure is new, with building projects happening all around. Those looking for older types of homes - don't worry as there are plenty of options in the older neighbourhoods around the Main St and Ontario St area. Milton's convenient location and huge size is the main reason why many are flocking there. With easy access to major highways like 401, 407, including the Milton GO many commuters working in Toronto will be happy. Milton is surrounded by beautiful pristine nature all around featuring many trails, conservation areas, sports facilities, etc. Perfect place to invest in real estate!